Withdraws the proposed rule change for listing of SolidX Bitcoin ETF. 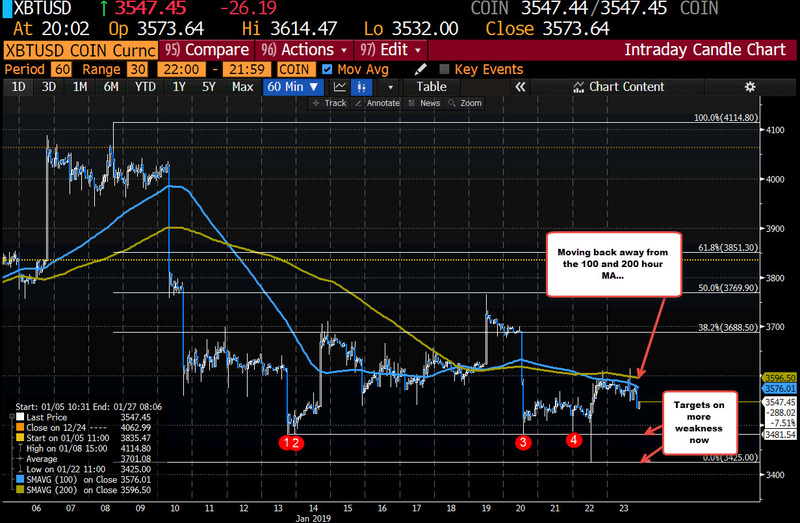 The price of bitcoin is moving lower after the CBOE withdrawals proposal for VanEck SolidX ETF. Looking at the hourly chart below, the price is trading to new session lows. The targets on more selling would look toward the $3481 and then the low from yesterday at $3425.